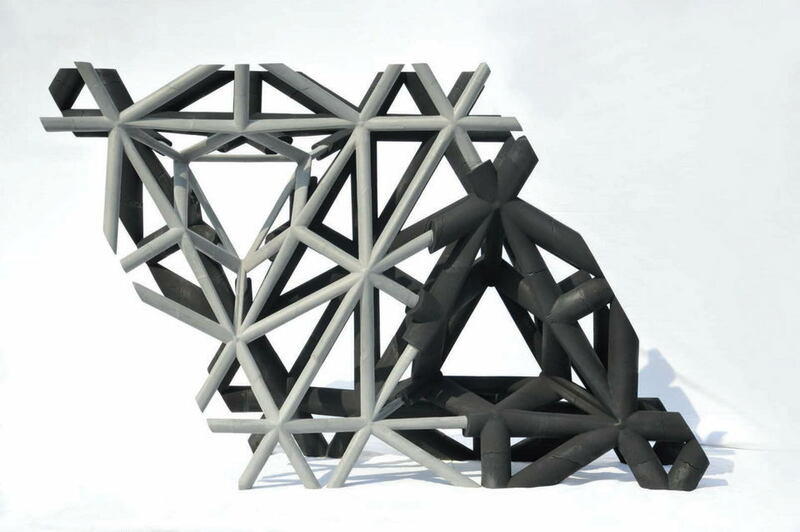 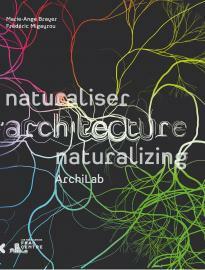 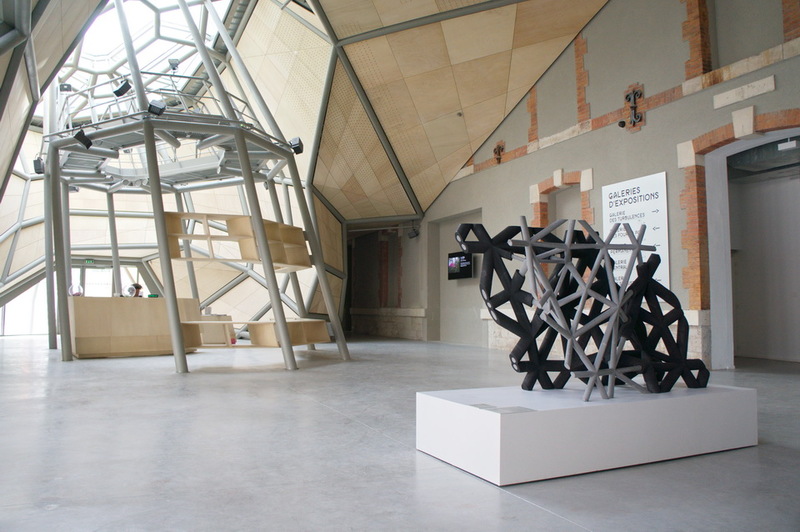 EZCT Architecture & Design research has been invited to present their ongoing research at the ArchiLab 2013 exhibition. 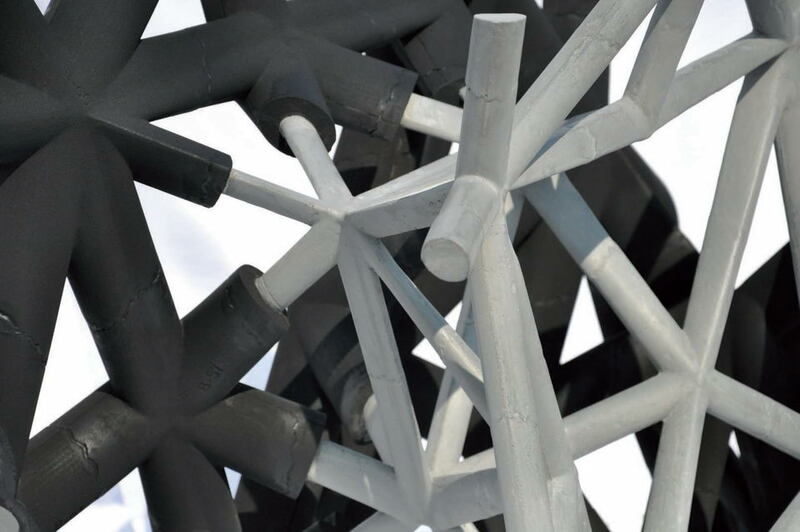 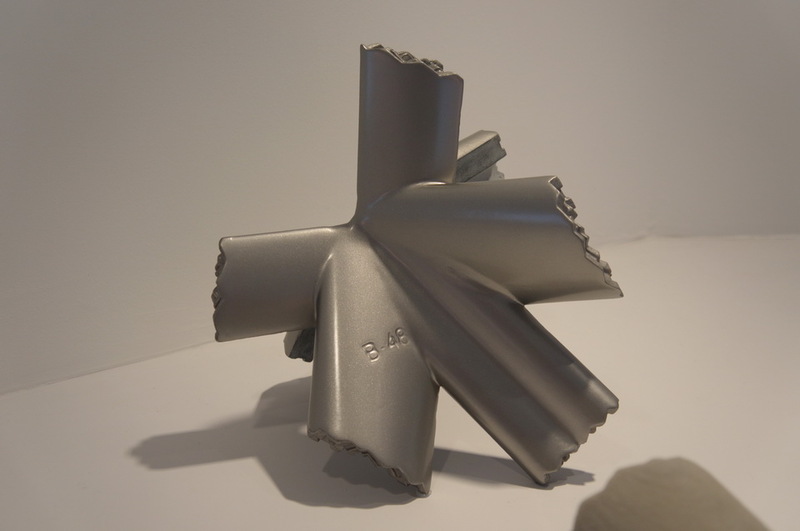 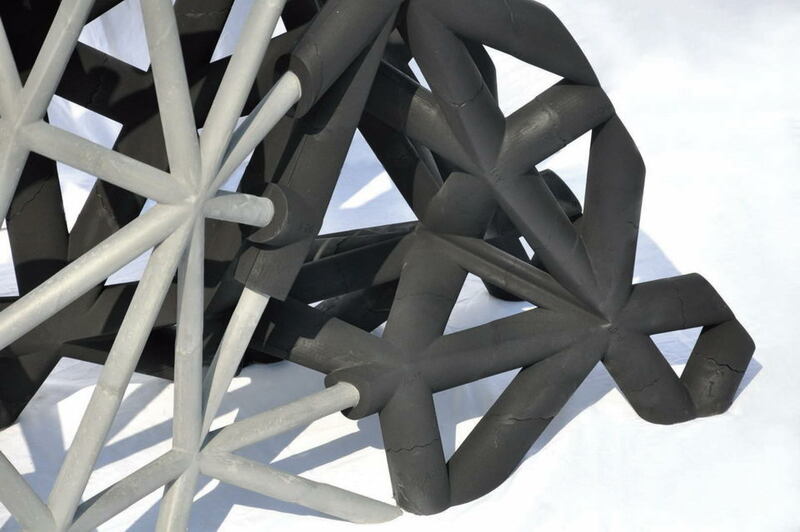 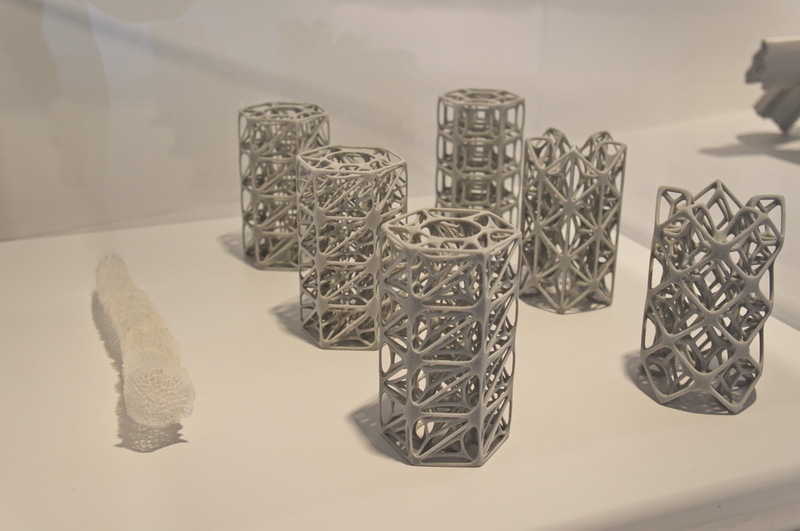 For these studies in recursive lattices, I participated to the elaboration of 3D modelling algorithms allowing to manipulate tridimensional networks of structural segments and to generate the molds necessary to the casting of these complex geometries in Ultra-High Strength Fiber-Reinforced Concrete. 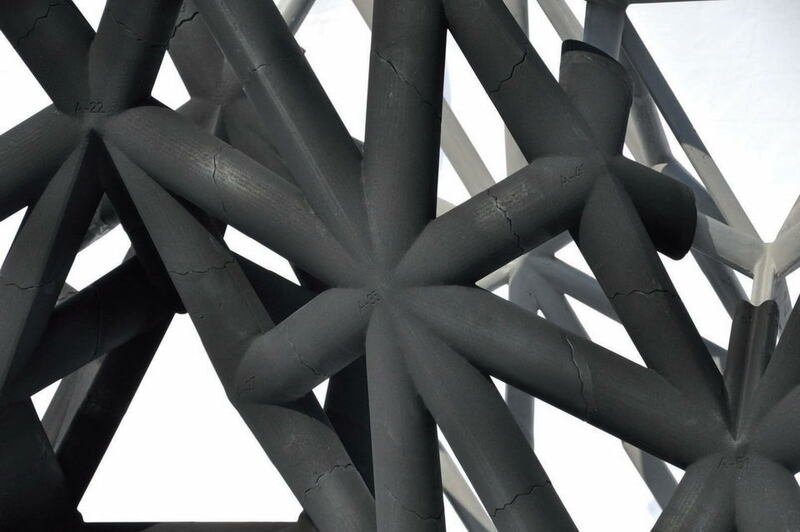 This research project focuses on ways of minimizing the volume of concrete of a structure by using high technology materials and manufacturing processes, while keeping a structural strength comparable to a traditional solid concrete structure. 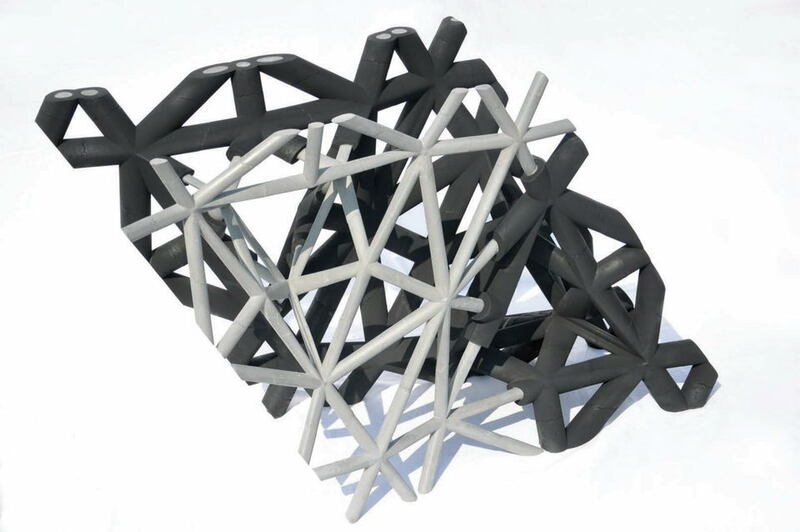 I am now continuing this research, with a specific focus on the sustainability and scalability of such systems, in a PhD Thesis at the Geometry Structure Architecture laboratory of the ENSAPM, under the direction of Robert Le Roy (ENPC) and Olivier Baverel (ENSA Grenoble).